Free Shipping Exclusions: Applies to mailable products sold by Sears and Kmart on qualifying orders. Excludes Marketplace and delivery of large, heavy items and appliances. Additional exclusions apply. Please see offer details on qualifying product pages. Applies to items Sold by Sears AND Kmart. This promotion is not eligible with international orders. FREE Standard Shipping on qualifying orders applies to mailable items Sold by Sears AND Kmart. 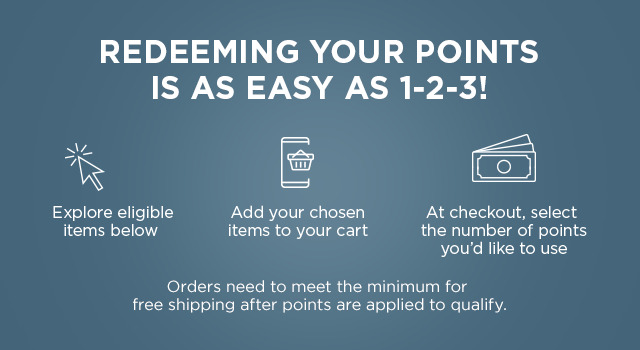 Orders need to meet the minimum for free shipping after points are applied to qualify. Excludes Agio brand, Food & Grocery, Compact Refrigerators, Fencing, Tires, Wheels, Lawn Mowers, Tractor Attachments, Pet Food, Pet Litter & Supplies, Pools and Accessories, Trampolines, Outdoor Playsets, Kids Outdoor Vehicles, Wagons, Easels, Art Desks, Kitchen and Housekeeping Playsets, Treadmills, Ellipticals, Pilates Machines, Home Gyms and Weight Sets, Rowers and Steppers, Inversion Tables, Exercise Bikes, Bikes and Accessories, Scooters, Backboards and Rims, Game Room Tables, Tents, Air Conditioners, select Tool items and Automotive Services. Offer applies to merchandise shipped via normal UPS ground service only (most items under 150 lbs). Offer does not extend to items purchased from landsend.com, Sears Parts Direct, Sears licensed partner websites, digital services, Sears Presents, and Shop At Home catalogs. Free shipping value varies by ship to location. Items shipped via lowest cost or ground shipping method. Lowest cost and ground shipping methods only apply to orders shipped to the US continental 48 states, and the District of Columbia (does not apply to shipments to Alaska, Hawaii, Puerto Rico, Guam, Canada, Mexico, the U.S. Virgin Islands or to Military APO/FPO addresses). Products over 35lbs cannot be shipped to APO/FPO locations - all APO/FPO shipments are USPS. Estimated offer value ranges from $6.80 to $64. Offer excludes shipping costs on Oversized Shipping or In-Home Oversized Shipping Items.